Reasonable opener for the boys yesterday . On that performance I think I’d go with Anscombe to start at 10 next Saturday. Or should the more prosaic Biggar get the nod ? Either way, we have to beat the Aussies ! So far they have had two games. They lost to France on 27 October in Carcassonne against a very strong French team studded with Super League players. On Friday 2nd November Wales played Scotland in Galashiels and won 50 - 12 with s very impressive second half with some fabulous rugby. On Sunday 11th November they face Ireland in the Racecourse Wrexham 3pm kick off. France have beaten Wales and Ireland and look likely to win the European Championship and Qualify for the Rugby League World Cup in 2021. Wales and Ireland will play for the next qualifying place on Sunday 11th…the winners get a place in RLWC2021, the lisers will have further qualification games, probably in Norway or Russia. And when others talk about ‘that school’ in Witchurch, Cardiff ,where Gareth Bale, Sam Warburton and Geraint Thomas went, don’t forget out Rugby League team captain Elliot Kear also went there too. @Kinetic Any chance you could put that link to the SSiW Rugby vocab lesson in here? Thought they got off to a bright, encouraging start in the first 20, and were then mostly a bit laboured after that - I think the better kicking game that Biggar brings will be important against Australia, although Anscombe had a good game otherwise. Great to see Foxy back, and Lydiate having a superb game. Thought the props held up well, too - I was a bit worried we might be too short on experience there. I watched the England v New Zealand RL game yesterday. Very enjoyable , but wince inducingly brutal on occasions and no sign of any attempt to keep the tackle height down as per RU. 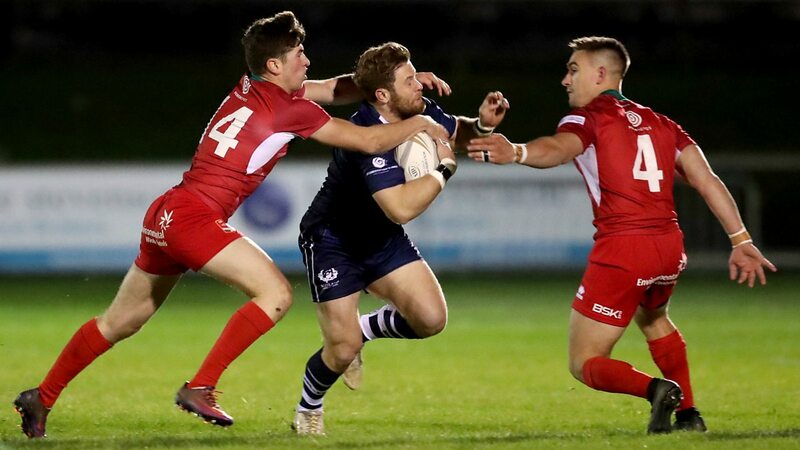 Watch live coverage of Scotland v Wales in the Rugby League European Championship. Can some find the rugby lesson? Just in case anyone’s going to be in Cardiff for the Australia match on Saturday, Matthew Rees will be launching his autobiography with a Q&A session in the Jack Matthews Bar at Cardiff Arms Park at 1.30pm. Free entry and all welcome – the event will be in English but I’ll be there and will be very happy to have a chat in Welsh to anyone who comes up and says helo/shwmae! A percentage of the profits from sales of the book are to go to Velindre Cancer Care. Is there a rectangular push button top right with Welsh on it. If so, push it to get Welsh. Slightly confusing in that when it shows Welsh it is in English and vice versa. I can’t see one. When I use BBC Fyw as an app I get it in Welsh but if someone shares a page on Twitter and I click it appears in Welsh then automatically changes to English. Sorry misunderstood it worked for the rugby page.